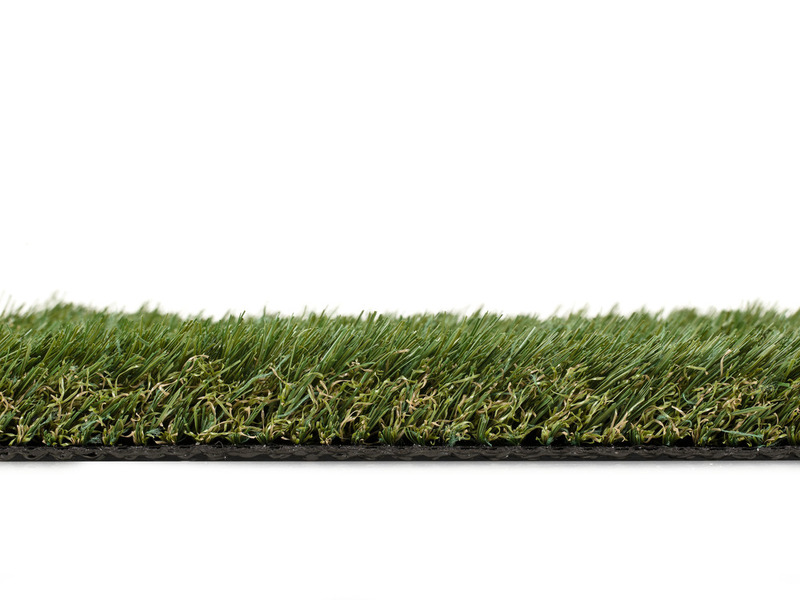 The perfect, natural looking lawn that is durable, does not stain or fade, and offers Ultra-Drain technology. Great for pet areas, front and backyards, and play areas. Sold in 15'x1' increments cut on the whole linear foot. Realistic Look and Feel, Grass Won't Fade/Stays Green, Standard Hole Punched Backing, Total Weight 80oz SQ/YD, Field Green with Nutmeg Thatch. An EasyTurf Professional Installation is recommended. Sold in 15'x1' increments cut on the whole linear foot. Realistic Look and Feel, Grass Won't Fade/Stays Green, Standard Hole Punched Backing, Total Weight 80oz SQ/YD, Field Green with Nutmeg Thatch. Yarn: Polyethylene Monofilament. Backing: Standard Hole Punched Backing. Pile Height: 1.5″. Face Weight: 51 oz.